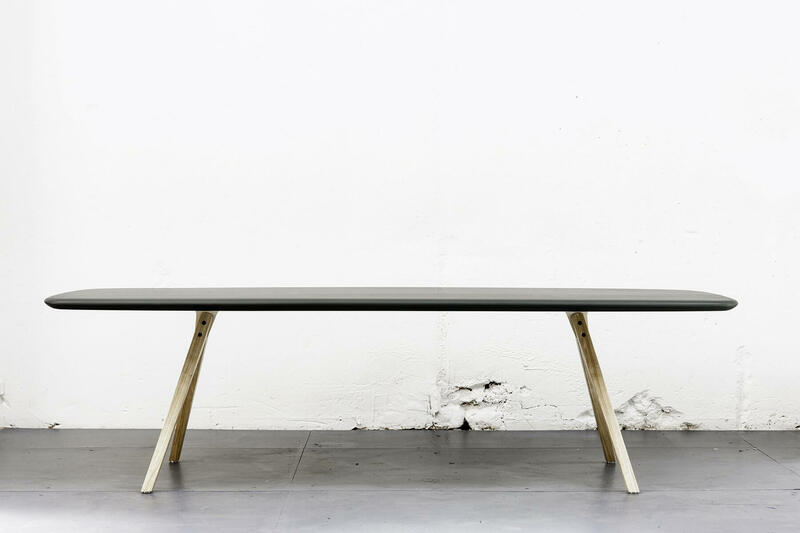 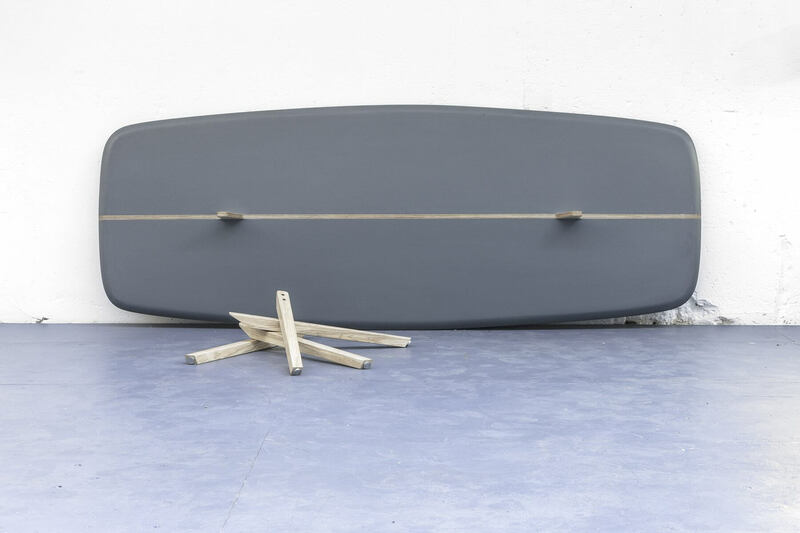 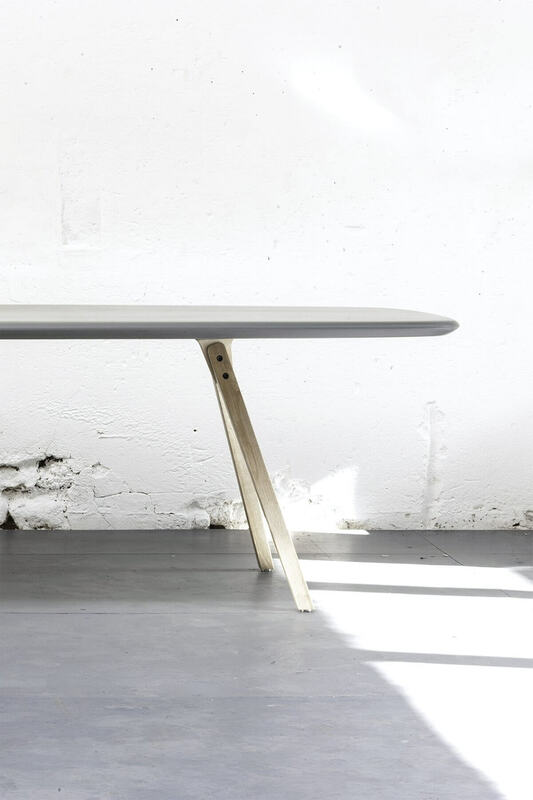 Designed for a surf shop, the Log table contains the codes of surfboard design. 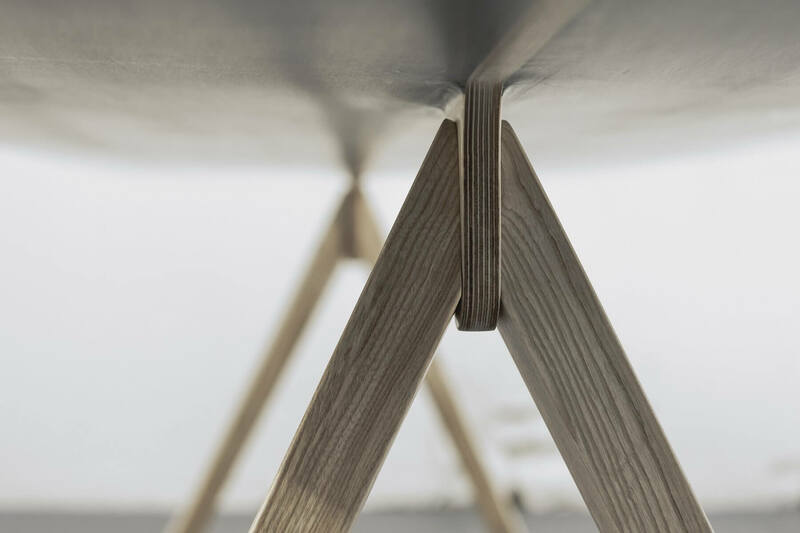 The four solid wood legs are fixed to the central wood strip. 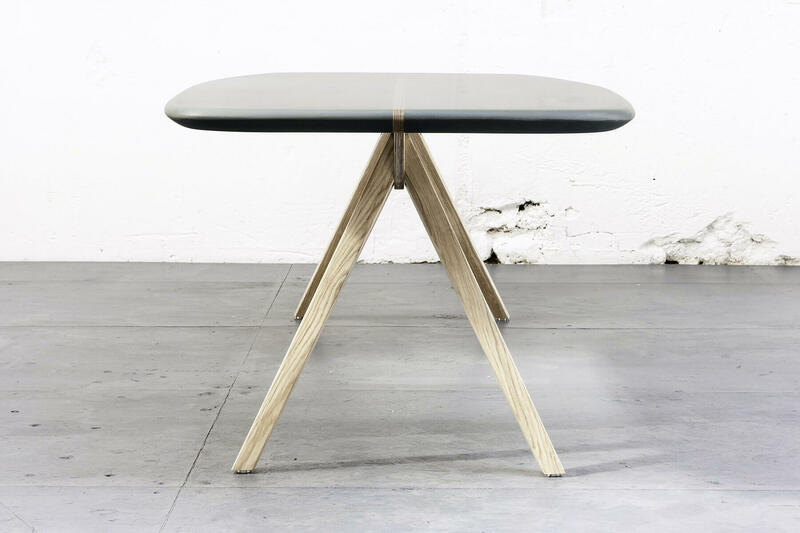 The tabletop, sanded by hand by a master shaper, offers a resin surface that is light and soft to the touch.